Being pierced by a professional body piercer is hands down the safest possible way to get a piercing and have it look its best. A trained piercer has the experience to do the job right the first time. There is a long list of reasons why you should visit a professional body piercing shop, like Almost Famous Body Piercing, if you are considering having any type of adornment added to your body. The environment is in the cleanest possible state. 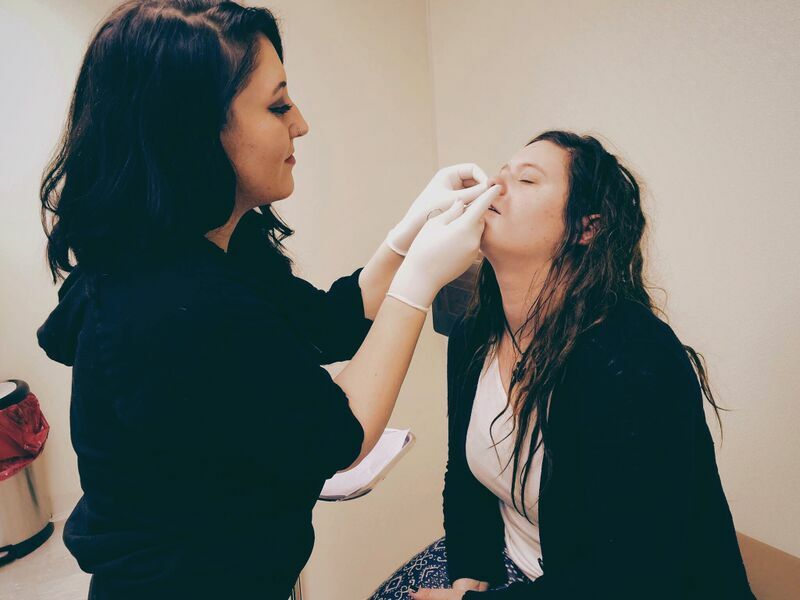 Our licensed piercers are constantly using aseptic techniques throughout the day to make sure you’re being pierced in the safest venue. Professional piercers work with needles, equipment, and tools that have been sterilized to state standards. There is less potential risk of infection. The piercer takes all possible precautions to prevent any sort of contamination. They thoroughly clean and prep the area to be pierced before any procedures are completed. This does not remove the chance of infection happening after your piercing service, so make sure you wash your hands thoroughly before touching your piercing for any reason. Make sure to do your aftercare as directed until your piercing is completely healed. Professionals piercers have a lot of experience and are constantly working to hone their skills and perfect their personal piercing techniques. Knowledgeable, trained technicians can make sure that your piercings are properly and evenly placed on your skin/body. Professional piercers have better equipment than amateurs. It is properly cared for and meticulously maintained to prevent mishaps. The right equipment is extremely important if you want your piercing session to go smoothly and the piercing itself to look beautiful. Body piercing shops have a wider selection of higher quality jewelry from which their clients can choose. A professional piercer is much better at identifying potential problems than someone who has no experience. Trained professionals are better at explaining the piercing process before, during and after. They can also educate the client on the proper care of the piercing after the piercing service so that the piercing wound heals properly. No matter what kind of piercing you want to get, a trained technician can help give you the peace of mind you need so that you are relaxed and at ease during the process. At Almost Famous Body Piercing, our professional piercers are well trained and experienced, so we’re able to pierce almost any area of the body. Don’t risk a bad piercing or the possibility of an infection with someone who is not licensed. Visit one of our professional piercing shops today to learn more!